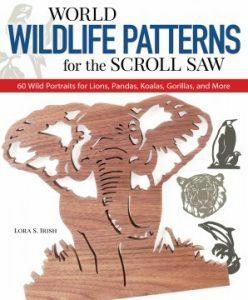 Scrollers are always looking for new and different things to cut, from exotic woods, to paper, to acrylic. So why not try gourds? I was going to the Mount Gilead Gourd Festival in Ohio as a vendor. At that time, they required 20 gourd creations for me to come. They brought it down to eight if I would teach a 4-hour class. I got my eight done in the two weeks before the show and won some ribbons with them, much to my delight. 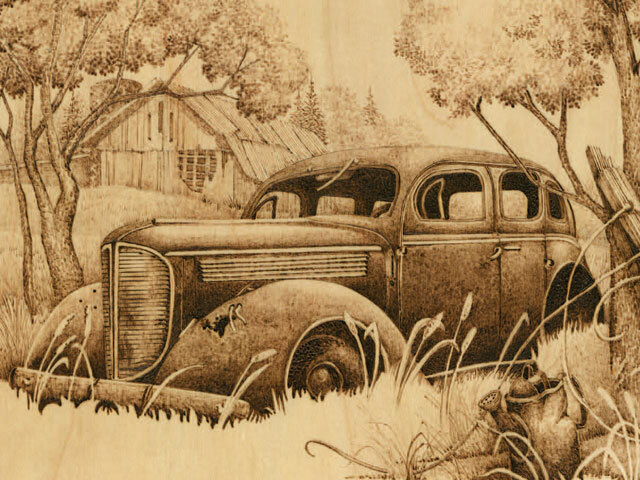 These patterns came in handy later, when Frank Yakovich used them to introduce woodburning to young scouts at a Boy Scout summer camp in Pennsylvania. 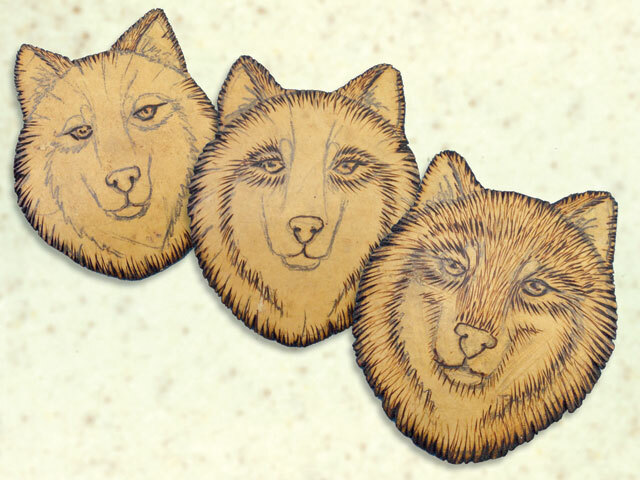 He also used my four woodburning instructional pattern books. 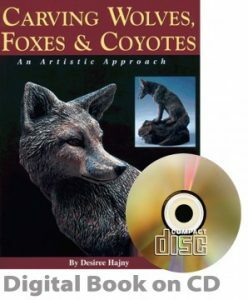 This project is easier than it sounds and takes less and less time to do with each one you complete. 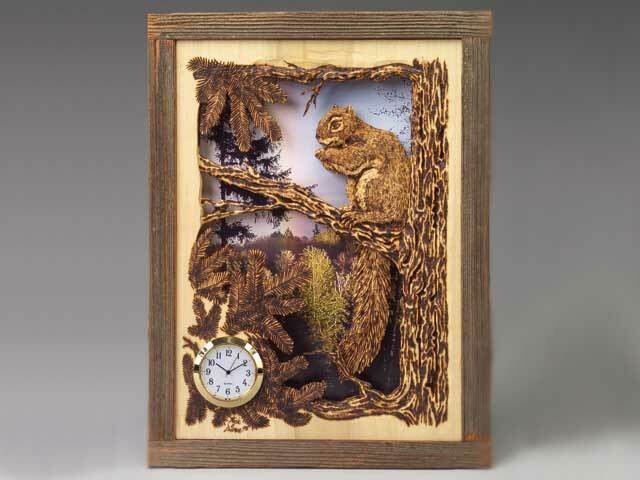 There are many more ways to use woodburning with scroll sawing. 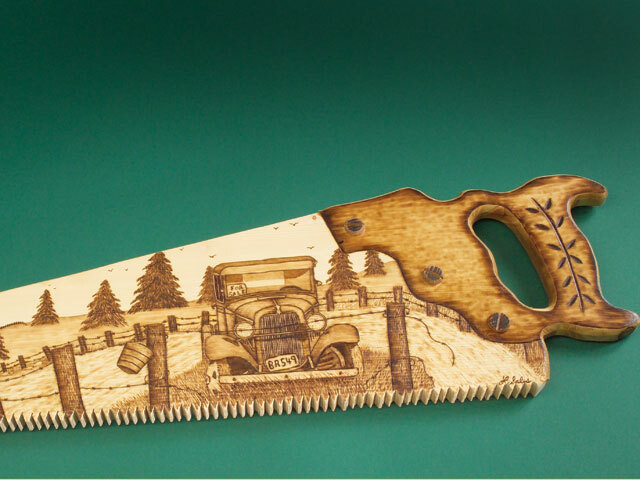 It adds a creative touch in keeping with the nature of the wood. 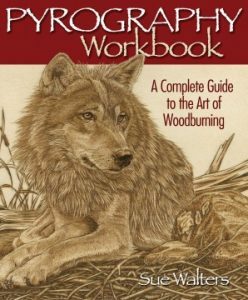 Use burning to give texture; add leaves, ferns, or scenery; to add detailed animals; or to give more detail in general to your projects. 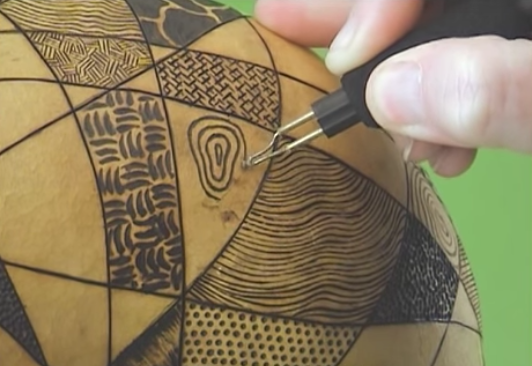 Light colored gourds are best for this project—the burning shows up better. I usually use only a few pens—the round-heeled skew, the bent, spearpoint shader and the 1/16″-diameter ball pen—for all the work I do.